A warm welcome to our new subscribers! Quite a few of you were already members of My English Club, but not subscribers of our weekly e-zine, so I am extremely happy to see you are now starting to benefit from this source of information on our lessons. In addition, it does help a lot with navigation around the website. 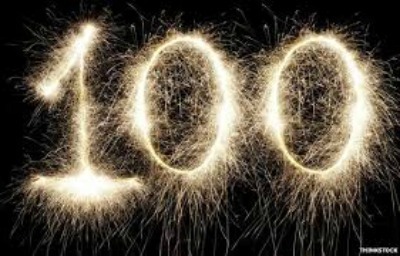 My friends, we are celebrating our 100th issue today! I do hope you find it as useful as you did back in time, when we were having our classes together. Either way, let's celebrate together! You may be aware that I have been preparing to improve My English Club website since the end of last year, by implementing some new software that would allow me to write more interactive and more beautiful lessons for you and to spice up our content in general. The priority so far has been on building more content, preparing the website for optimization. I wanted to surprise you with the improved interactive lessons around the time of our anniversary of 100 issues of the e-zine, but unfortunately I couldn't secure the software so far. The plan to develop the site and optimize it ultimately continues - only I'm not sure how long it will take until I can purchase the software. Everything I found so far applies more to big corporations; however, I shall carry on looking for online solutions. After our lesson on exception, I wrote a note on the present matter today, to carry on with our lessons on expressing ourselves in various situations. Please find this lesson on the Expressing Restriction page. Enjoy studying this point and please practise it frequently! You can also find this topic on the Pre-communicative Practice page, in case you didn't know about this index of communicative grammar concepts. We have finished our set of lessons on the three figures of speech, and are turning our attention to syntax today. This is a rather complicated part of grammar, but we shall only touch on the surface, so you can't say you are unaware of this. Please find this lesson on the Syntax page. I hope you find it useful - there's more to come on this matter. For today, I added a few examples of activities that a visitor with children could do in London, together with a form which you can use to write your own information about activities we might consider in your country. Please find it on the Activities for Kids page. I wonder if you are starting by now to think about making pen pals with whom you could practise some of the English you're spending so much effort to learn. Please let me know. Better still, write back and contribute to these pages - they are after all, yours to enjoy together.